Creative collaboration and close links with industry are central to the unique programmes on offer at IADT, Dr Andrew Power, Head of the Faculty of Film, Art and Creative Technologies, tells Lynne Nolan. If you come here to study film, you could be working with set designers, makeup people, producers, and screenwriters; there’s a great way in which the programmes integrate together. The Institute of Art Design and Technology (IADT) in Dun Laoghaire is one of 13 Institutes of Technology in Ireland, but it is the only one which has its mission to serve the needs of Ireland’s cultural and creative industries embedded in its title, comments Dr Andrew Power, Head of the Faculty of Film, Art and Creative Technologies at IADT. 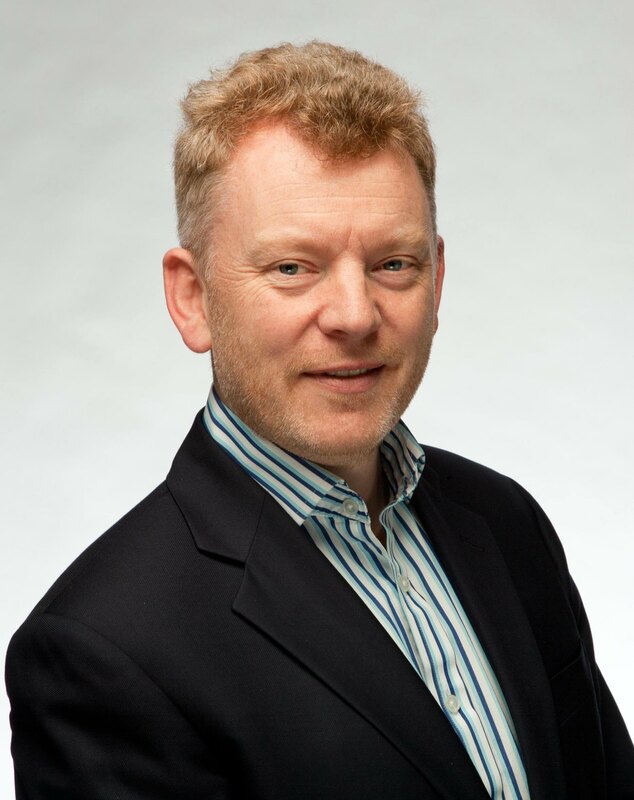 Dr Power, who holds a doctorate in Governance from the School of Law at QUB and has written extensively on cybercrime and cyberpsychology, has been at the helm of the Faculty since September 2012. Creative collaboration and interaction are at the heart of the Faculty, he believes, which has grown considerably in the past five years, boasting a rich portfolio of inter-related programmes in a vibrant atmosphere of research, creativity, technology and production. Comprising three departments: Technology and Psychology, Film and Media, and Design and Visual Arts; The Faculty of Film, Art & Creative Technologies is one of two faculties – the other being the Faculty of Enterprise & Humanities – with a combined student population of 2400, at the Institute of Art, Design and Technology, was established in 1997. The Department of Technology and Psychology’s programmes focus on people-centred technology, looking at how people are using technology in their daily lives, Dr Power explains, offering unique programmes including the MSc in Cyberpsychology. “Our principal skill is really looking at the way that technology and psychology interact, and how people are adjusting to this new modern world of social media and human computer interaction. It’s because of that speciality at undergraduate level that we developed a Masters in Cyberpsychology, that specifically looks at how people behave online and interact with each other, looking at things like cybercrime and cyberbullying,” he says. The BA (Honours) in Design for Stage and Screen programme, part of the Department of Design and Visual Arts, is also quite unique, he says, in that it offers students three pathways: costume design, makeup design for theatre and production design; allowing students to specialise after their first year, with graduates working in the film industry and theatre. With 1500 students in the Faculty of Film, Art & Creative Technologies, predominantly at honours degree level, its undergraduate courses are BA(Hons), BSc(Hons) and BEng programmes in Film & Television Production; Photography; Animation; Design in Model Making, Design and Digital Effects; Design in Visual Communications; Visual Arts Practice; Creative Music Production; Audio Visual Media Technology; Applied Psychology; Computing Multimedia Systems/ Web Engineering; Digital Media Technology and Computing in Multimedia Programming. The Faculty also offers MA programmes in Art Research Collaboration, Broadcast Production for Radio and Television, and Screenwriting. “We combine both academic research and practical skills. We serve a particular creative industry. In relation to our technology programmes, whilst it’s possibly to study technology or software skills in many places, we offer the possibility for the students to work with colleagues from other disciplines,” he comments. Creative collaboration extends beyond the Faculty walls. IADT and Wexford Festival Opera have established an internship programme for the annual festival, giving students the opportunity to gain practical first-hand experience in areas of stage craft such as makeup, prosthetics and wigs, costume, lighting and sound. He mentions that film students have been working with scientists in UCD making short animated and live action films that clearly describe the type of work the scientists are doing and make their research accessible to the public. Taking on commercial projects with industry enables students to develop their portfolios, he says. Recently, third year students on the BA (Hons) in Visual Communication Design presented their concept designs and brand ideas of a lighthouse visitor centre and the all-island lighthouse trail to the Commissioners of Irish Lights. Technology plays an increasingly bigger part of the medium of art, he says, and although some students continue to work in the plastic arts; painting and sculpting, the majority are interested in installation, media, sound, and in the moving image.